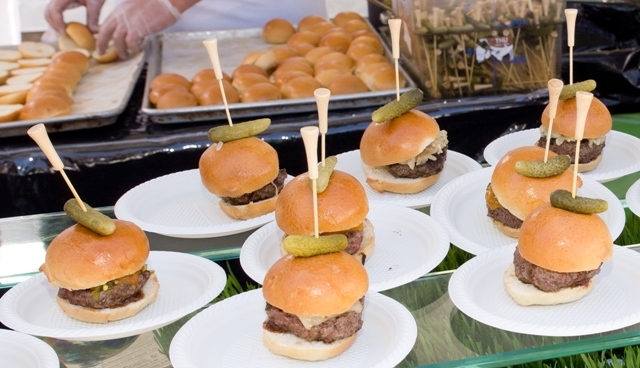 This weekend, foodies and art lovers will flock to the Phoenix Art Museum’s Dorrance Sculpture Garden for Devoured Culinary Classic 2012. On Saturday and Sunday, March 10 and 11, event-goers will get the chance to sample deliciousness from the Valley’s most notable restaurants and learn from local culinary leaders as they take the SubZero/Wolf Chefs Demonstration Stage. The icing on the cake? If they want to take a break from sipping and sampling, Devoured indulgers can tour the museum and sculpture garden. The culinary festival is from 11 a.m to 3 p.m.
Tickets for Devoured are $69 through March 9; $79 at the door. Two-day tickets: $130 through March 9; $150 at the door. Museum members: $49 per day, $90 for two-day tickets. Tickets also at www.protix.com, by phone at 1.866.977.6849, or in person at Phoenix Art Museum. http://devouredphoenix.com/.